The Economist came to us with a challenge: to increase subscriptions. 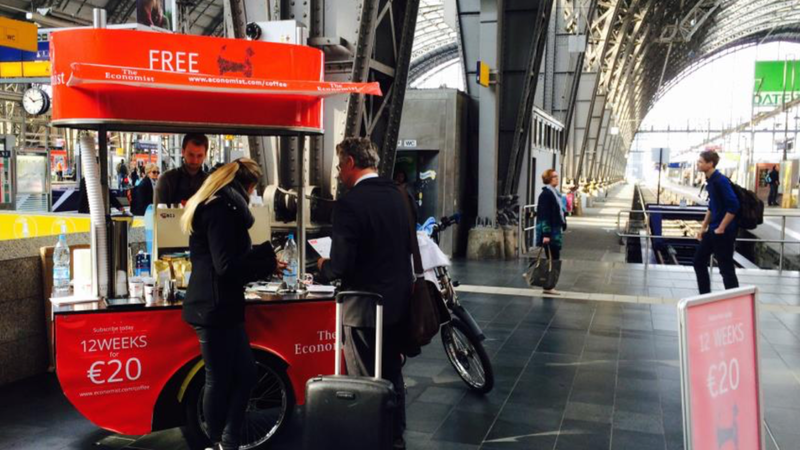 We delivered an activation across Germany. 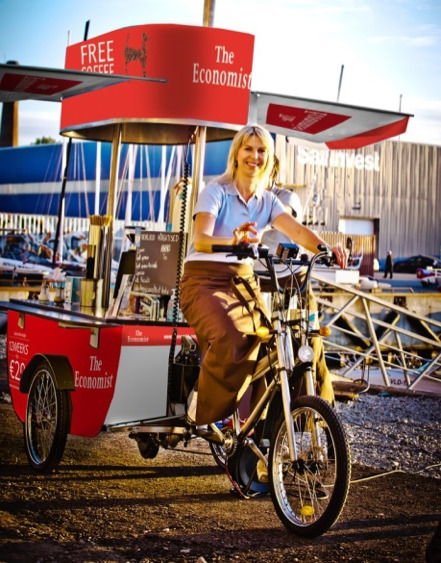 To increase the subscription rate for the business journal, The Economist, in Germany focusing on English speaking high-earning businessmen and women. 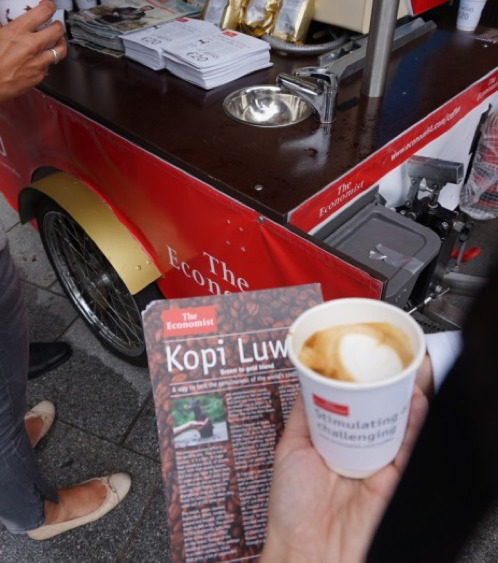 We created a mobile coffee tricycle and challenged targets in several German cities to take a free trial of Kopi Luwak, a coffee specialty made from partly-digested coffee cherries defecated by Asian palm civets! We produced all assets, sourced locations, handled on-site logistics and coordinated the promotion.